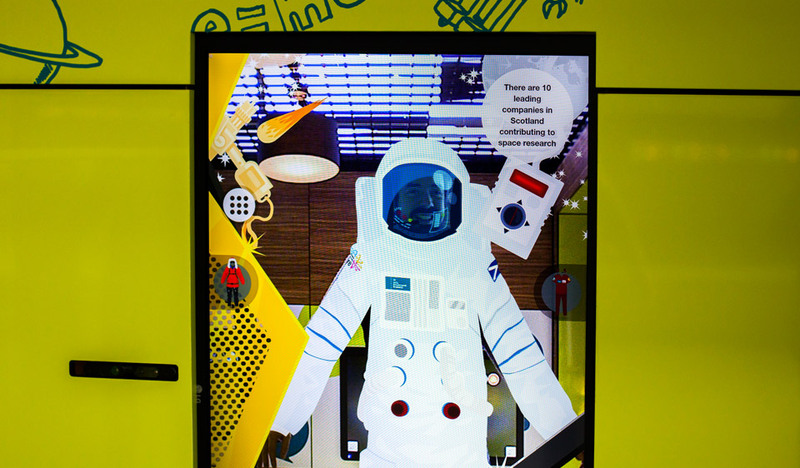 Magic Mirror Interactive - Do you wanna be a spaceman? 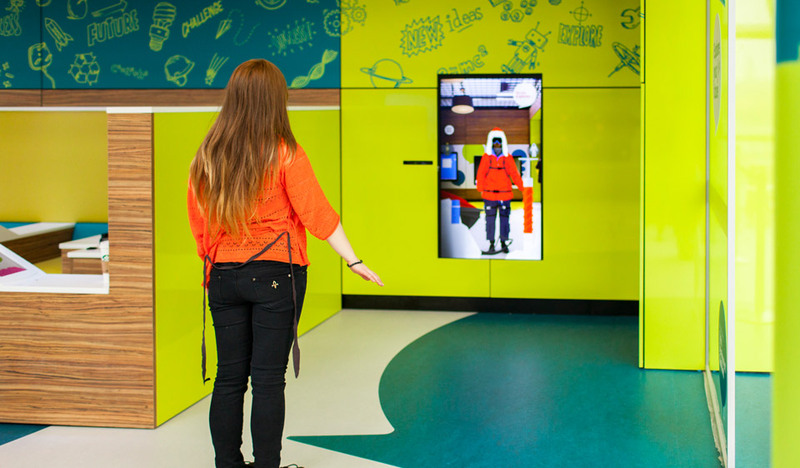 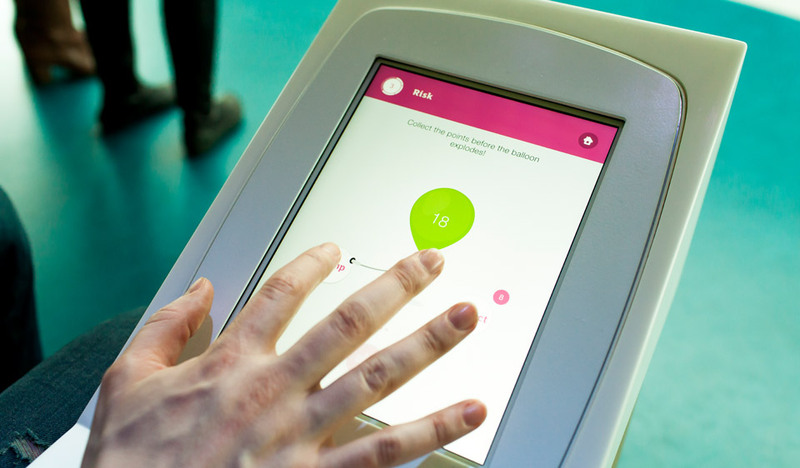 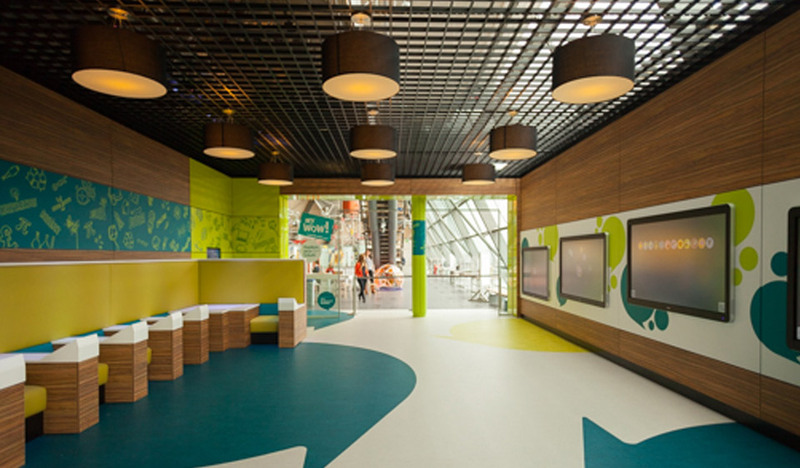 This exhibition required the design and build of three applications - an iPad app, a large format touchscreen careers explorer, and a virtual mirror interactive. 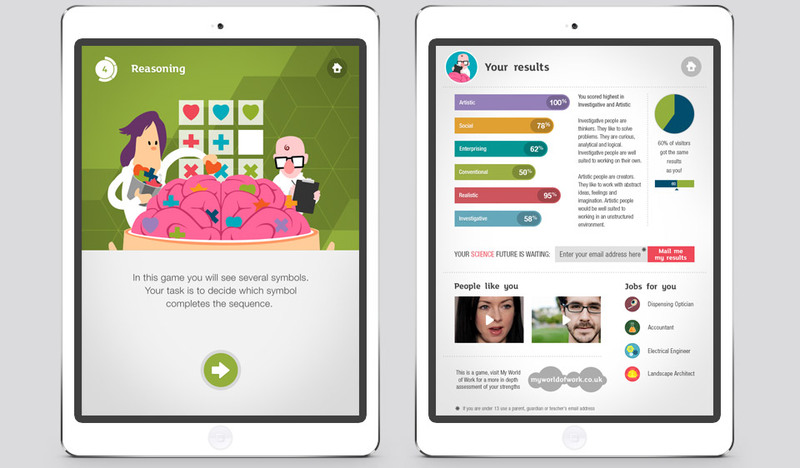 The iPad app features a set of mini brain profiling minigames and tasks and at the end the user is told some of their key strengths. 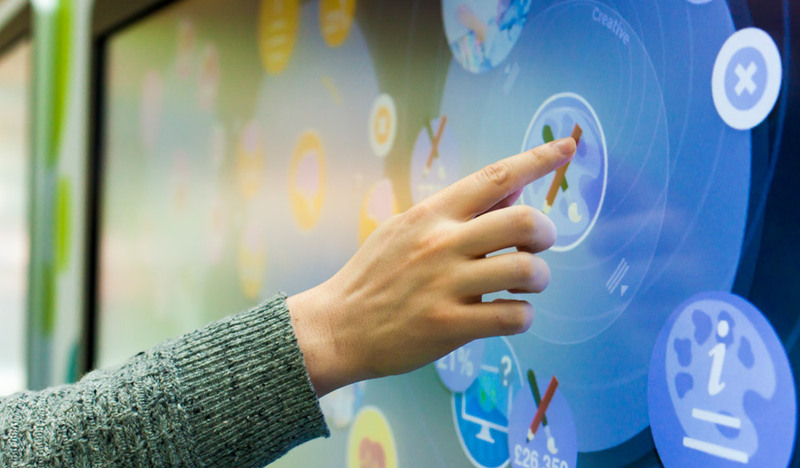 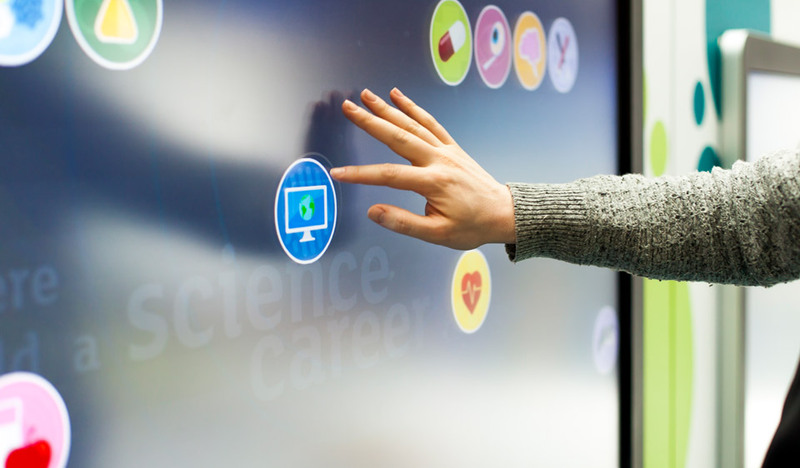 The touchscreens are CTouch Ledurra 70 inch screens that present a freeform icon based application that can accommodate multiple users. 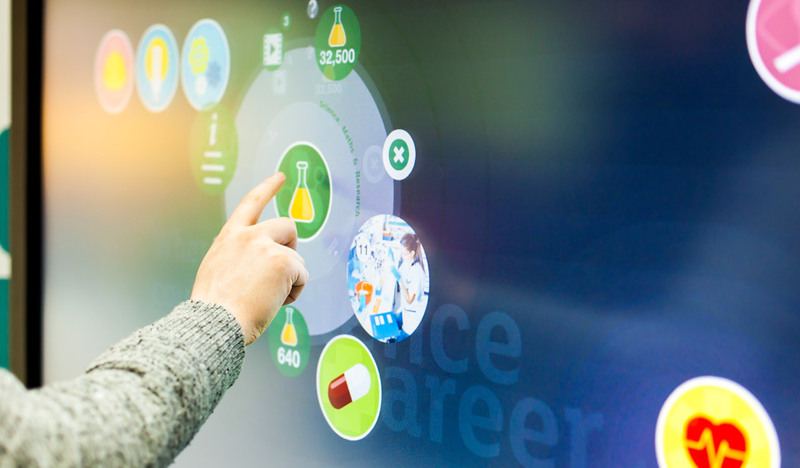 Users interact with colour coded icons that open to reveal more information about industry types, including jobs and videos within that industry. 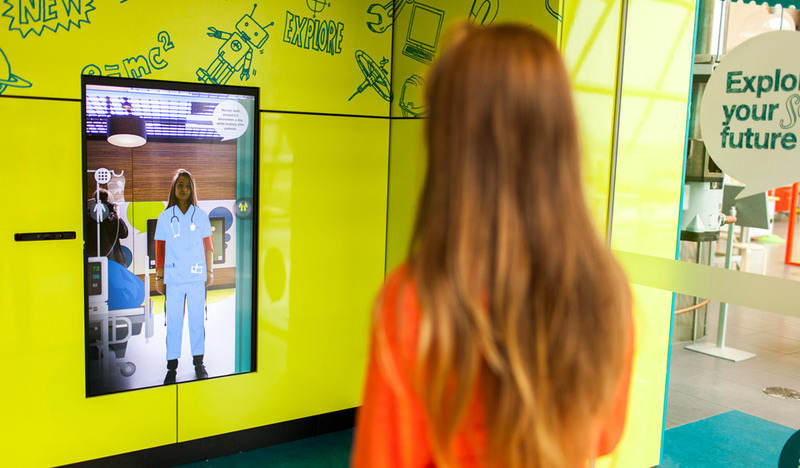 The virtual mirror projects illustrated outfits of various aspirational career types onto an image of the users body, using software to track motion and measure the users body size.